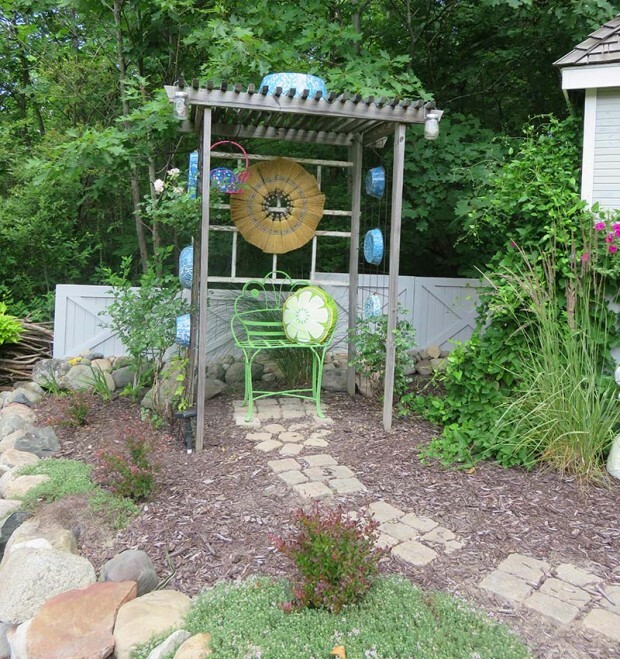 Editor’s Note: The following are bonus photos from a profile of Elaine and Roy Smith’s garden featured in the June 2017 issue of Michigan Gardener. To read the full story, pick up a copy of Michigan Gardener in stores or read it in our digital edition, which can be accessed for free on our home page. 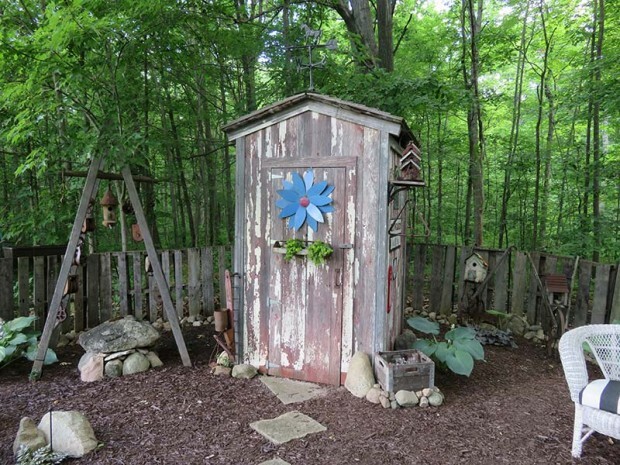 Elaine wanted on outhouse shed, so Roy built one. In the winter, it is a storehouse for the garden’s statuary. 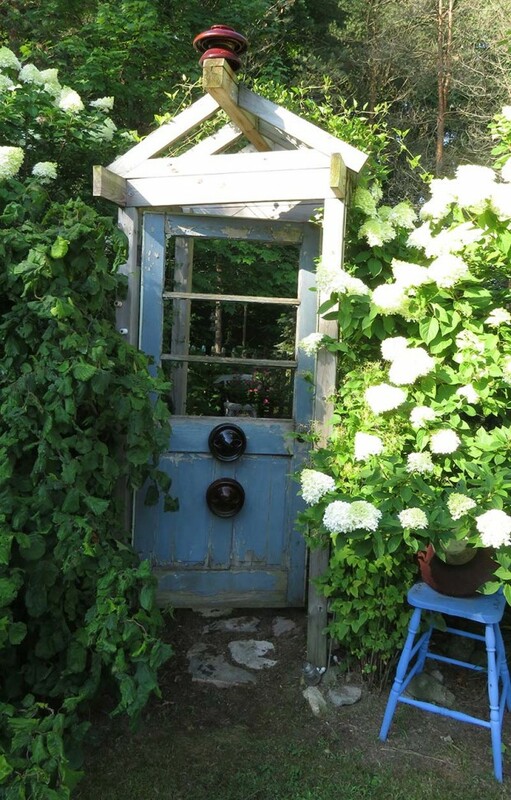 A door opens into the insulator garden and is framed by ‘Limelight’ hydrangeas. 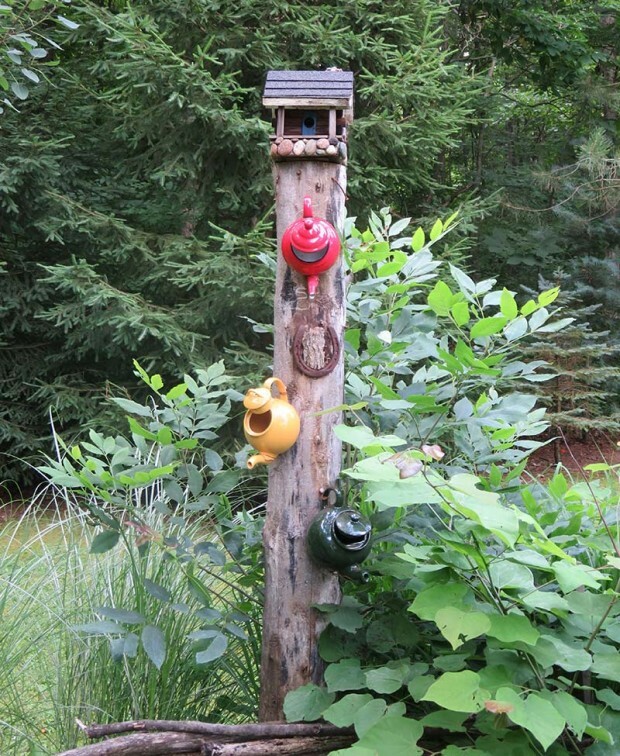 Three teapots have found new lives as birdhouses. A trellis is a great place to showcase Elaine’s collection of enamel ware pans. The flower on the back wall is made from whisk brooms. 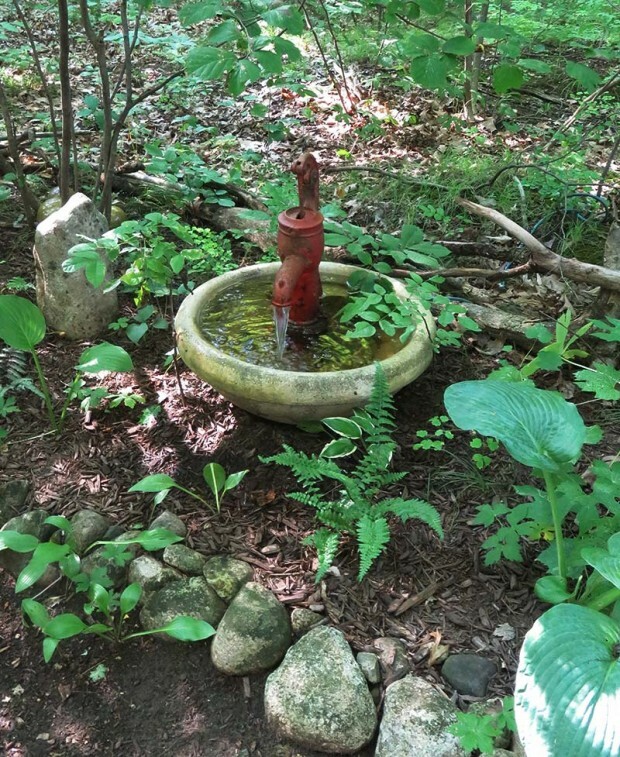 Elaine and Roy Smith ran an electrical line out into the wooded area of their garden so the sound of this bubbling fountain greets you on the trail.